Beware! Hiring an unlicensed HVAC contractor could cost you big in the long run. There are many contractors throughout Texas that are NOT licensed or insured. If you receive an estimate that is much lower than others, this could be an indication of an unlicensed and uninsured heating & cooling contractor. This is a major problem in the Texas market throughout Plano, Collin County and the Dallas / Fort Worth area. Licensing offers proof that the contractor has met HVAC industry training standards and is allowed to do the work in your area. Hiring an unlicensed contractor for your heating or air conditioning installation could turn into a bigger problem than you anticipated. 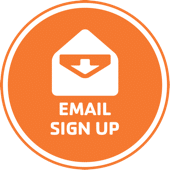 It’s not uncommon for homeowners or businesses to receive an appealing quote from an HVAC contractor with a low price tag. But it’s likely too good to be true. Don’t let the temptation of a dirt cheap quote lure you into hiring an unlicensed contractor. These contractors are out to undercut the competition without gaining proper certification. Can you trust an air conditioning and heating contractor that does not obey the law? If they are cutting corners with the law, where else might they take short cuts for your HVAC installation? In many cases, these so-called professionals lack the skills and expertise the get the job done right. And guess what happens when something goes wrong on the job or shortly after the installation? Nothing! Nothing…meaning the contractor will ignore your calls, emails and letters. More importantly, many HVAC manufacturers may void the warranty on the equipment if an unlicensed contractor performs the install. Not to mention it could also void your homeowners insurance policy in the event of an insurance claim related to the job. In many cases, unqualified contractors will recommend and install the wrong heating and cooling system just to sell the job. Not only can this impact the performance of the system, it can also be a safety risk for your family or business setting. Enertia HVAC/R of Texas is Licensed & Insured! Enertia HVAC/R currently holds an Environmental & Refrigeration “combo” license which allows us to work residential and commercial HVAC systems along with Refrigeration systems. In addition, we maintain federal “universal license” from the EPA to handle all types refrigerants. We are full licensed and insured and currently maintain over $1 million liability insurance. We perform extensive background checks on all of our HVAC technicians. You are in good hands when you hire Enertia HVAC/R. 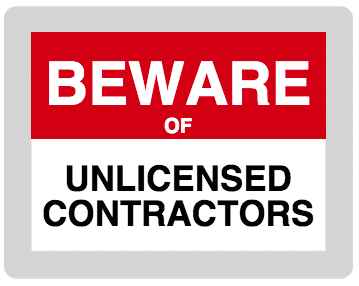 The state of texas maintains an active licensing search, so make sure you ask for licensing information when dealing with HVAC contractors. Too many contractors these days do not have the appropriate licensing or training to install the complicated equipments manufactured today. Ask our staff to review any proposals you receive and we will be happy to help lookup the contractor to see if they maintain the license/insurance required. Typically these guys are “low ball” artists – If u get a quote for $5k or less for a full system change-out, that is a sign that the individuals do not maintain the proper license or insurance.